Grzegorz Rasiak (Polish pronunciation: [ˈɡʐɛɡɔʐ ˈraɕak] ), born 12 January 1979 is a Polish former professional footballer. After starting his career in his native Poland, Rasiak moved to England with Derby County in 2004. He subsequently had a spell with Tottenham Hotspur before joining Southampton, as well as periods on loan to Bolton Wanderers and Watford, before joining Reading in August 2009. He left Reading for the Cypriot club AEL Limassol in 2010, spending a season there before returning to Poland where he remained until his retirement in 2014. 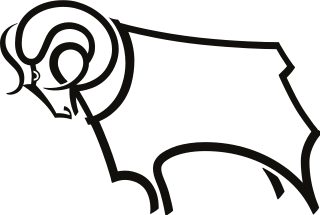 Derby County Football Club is a professional association football club based in Derby, Derbyshire, England. The club currently competes in the EFL Championship, the second tier of English football, and has played its home matches at Pride Park Stadium since 1997. From 2002 to 2007, he played for the Poland national team, earning 37 caps, scoring 8 goals and playing at the 2006 FIFA World Cup. 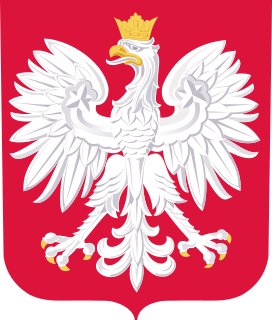 The Poland national football team represents Poland in association football and is controlled by the Polish Football Association, the governing body for football in Poland. The 2006 FIFA World Cup was the 18th FIFA World Cup, the quadrennial international football world championship tournament. It was held from 9 June to 9 July 2006 in Germany, which won the right to host the event in July 2000. Teams representing 198 national football associations from all six populated continents participated in the qualification process which began in September 2003. Thirty-one teams qualified from this process, along with the host nation, Germany, for the finals tournament. It was the second time that Germany staged the competition, and the tenth time that it was held in Europe. Rasiak was born in Szczecin. In the 1996–97 season Rasiak joined second division side Warta Poznań where he spent two seasons. In 1998, he moved to First Division side GKS Bełchatów, before moving to Odra Wodzisław for the 2000–01 season. The next season, he moved to the club where he first achieved a level of success, Dyskobolia Grodzisk Wielkopolski. In three seasons at Dyskobolia he played in 66 league matches, scoring 34 goals, forming a partnership in 2003–04 with Andrzej Niedzielan. His time at Dyskobolia Grodzisk Wielkopolski was when Rasiak made a breakthrough. For three seasons playing in Grodzisk played 66 matches, scoring a total of 34 goals. He worked with Andrzej Niedzielan and few attackers. Szczecin is the capital and largest city of the West Pomeranian Voivodeship in Poland. Located near the Baltic Sea and the German border, it is a major seaport and Poland's seventh-largest city. As of June 2018, the population was 403,274. Warta Poznań is a multi-sports club based in Poznań, Poland. PGE GKS Bełchatów[ˌpɛɡʲɛˈʔɛ ˌɡʲɛkaˈɛs bɛwˈxatuf] is a professional football club that competes in the Polish First League. GKS is an abbreviation for the Miners' Sport Club. Rasiak joined Championship side Derby County on 24 September 2004 for a free transfer. In his first season with the club he scored 16 goals in 35 matches, as Derby finished in fourth place, but failed to get through the play-offs. Rasiak signed on 31 August 2005, the final day of the transfer window. On his arrival, manager Martin Jol described Rasiak as "a tall target man, a hard-working, honest player with a good goal scoring record." Rasiak's time at White Hart Lane was marred by a lack of first team opportunities. In the 2006–07 season he had a strong start, scoring 17 league goals by mid-January, with a further two goals in the FA Cup. This included four braces in the league and one in the FA Cup, all in away matches. After mid-January he lost his place in the starting eleven to fellow countryman Marek Saganowski, but finished the season as the club's top goalscorer with 21 goals. On 31 January 2008, Rasiak secured a loan move to Bolton Wanderers until the end of the season after Gary Megson decided to bolster his attacking options after the departure of Nicolas Anelka to Chelsea. Following his loan move Rasiak admitted it was not an easy decision to join Bolton Wanderers, but that he intended to be part of the Poland squad for UEFA Euro 2008. On 9 February 2008, Rasiak made his first appearance for Bolton when he came on as a substitute for El Hadji Diouf in a defeat to Portsmouth at the Reebok Stadium. His second appearance came during the second half of Bolton's local derby against Blackburn Rovers at Ewood Park where he scored within a couple of minutes of his introduction from the substitutes bench, only for the linesman to rule the goal out for offside. Rasiak went on to make 7 appearance for Bolton Wanderers and Megson decided not to take him up on a permanent basis. On 15 August 2008 Rasiak signed on loan with fellow Championship side Watford until the end of the 2008–09 season, with the option of a permanent transfer. He made his debut on 16 August 2008 against Charlton Athletic, coming on as a substitute for Tamas Priskin on 65 minutes. He scored his first goal for the club in a 3–2 defeat at home to Wolverhampton Wanderers on 25 October 2008. In January 2009, Rasiak scored in FA Cup matches against Scunthorpe United and Crystal Palace to help set up an unexpected fifth round tie against Chelsea. He was ruled out for a month after picking up an injury against Nottingham Forest in March  which was a blow to Watford as Raziak appeared to be forging an unbeatable partnership with Tamas Priskin. Both strikers got on the scoresheet in both of Watford's wins against Charlton Athletic and Nottingham Forest  (the same match in which Rasiak got injured) that took place within three days of each other in March 2009. After making four appearances for the "Saints" in August 2009, he joined Reading on 27 August for an undisclosed fee, signing a two-year contract. He scored his first goal for Reading in a 1–1 draw with his former club Watford on 26 September 2009. He scored his second and third goals in a 3–1 win over Coventry City, scoring after 31 seconds and then scoring his second of the game in the second half. However, Rasiak failed to hold down a regular first-team spot under then manager Brian McDermott. Rasiak was given a free transfer to AEL Limassol on 20 August 2010, signing a 2-year contract. After making 17 appearances without scoring, AEL Limassol terminated Rasiak's contract after a contractual dispute with the club. Rasiak made his international debut for Poland on 10 February 2002 in a friendly match with Faroe Islands under manager Jerzy Engel. He then had to wait a year before his next international appearance under Paweł Janas, before becoming a regular in the Polish team. Rasiak has made 37 appearances for his country, scoring on 8 occasions, and was part of the team that qualified for the 2006 World Cup. He was selected for the 23-man national squad that competed at the World Cup Finals in Germany. Two years later he was not selected for the 2008 European Championships. Darren Antony Pratley is an English footballer who plays for Charlton Athletic as a midfielder. Darren Ashley Bent is an English professional footballer who plays as a striker. Heiðar Helguson is an Icelandic former footballer who played as a striker. He started his career in the Icelandic league system, with UMFS Dalvík and Þróttur. 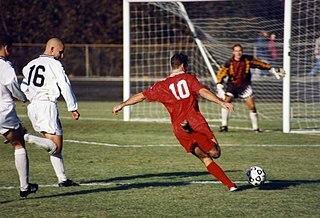 Following a one-season spell in Norway with Lillestrøm SK, Heiðar moved to England to play for Watford in 1999, with Lillestrøm receiving a transfer fee of £1.5 million. The English media anglicised his name to Heidar when he joined Watford – it is by this given name that he is commonly known in England. Jarosław Fojut is a Polish footballer who plays as a centre back for Pogoń Szczecin in the Ekstraklasa. Fojut began his career in England, where he played for Bolton Wanderers and also spent time on loan with Luton Town and Stockport County. He subsequently returned to Poland with Śląsk Wrocław and also played for Tromsø IL in Norway and Dundee United in Scotland prior to joining Pogoń Szczecin in 2015. He has also competed at youth international level up to the Poland under-23 team. Daniel Anthony William Graham is an English professional footballer who plays as a striker for Blackburn Rovers. John Alec Jackson is a former English professional footballer who last played for League One club Charlton Athletic as a central midfielder, a left sided midfielder or as a left-back and is now the club's assistant manager. Lloyd Richard Dyer is an English professional footballer who plays as a winger for Bolton Wanderers. Matthew Claude Mills is an English professional footballer who plays as a defender for Indian Super League club Pune City. Tyrone Mears is an English professional footballer who plays as a right back for West Bromwich Albion. His previous clubs include Bolton Wanderers, Preston North End, West Ham United, Derby County, Olympique de Marseille, Burnley, Seattle Sounders and Atlanta United. From Oldham in the north of England, Mears once played for the Jamaica national football team despite not being eligible to do so. Glenville Adam James le Fondre, known as Adam le Fondre, is an English professional footballer who plays as a striker for Sydney FC. Neil Alexander Danns is a professional footballer who plays as a midfielder for League Two club Bury. He also plays for the Guyana national team. He began his career in 2000 as a trainee at Blackburn Rovers and subsequently played for Colchester United, Birmingham City, Crystal Palace, Leicester City and Bolton Wanderers before joining Bury in 2016. Jamie John Ward is an English-born Northern Irish professional footballer who plays as a striker or a winger for Championship club Nottingham Forest. Born in Birmingham he began his career with his home-town club Aston Villa but failed to break into the first team and following a spell on loan at Stockport County he joined Torquay United. From there Ward had signed first for Chesterfield and then Sheffield United before joining Derby County in 2011. Qualifying through his grandfather, he plays for the Northern Ireland national team. Daniel Olusola Shittu is a Nigerian footballer who is a free agent after being released by Millwall in 2015. A centre back, he has made 346 appearances in the Premier League and Football League, including 190 for Queens Park Rangers. Jacob Luke Butterfield is an English professional footballer who plays as a midfielder for Bradford City, on loan from Championship club Derby County. Grzegorz Sandomierski is a Polish football goalkeeper who plays for Jagiellonia Białystok. He has also made three appearances for Poland. William Edward Buckley is an English professional footballer who plays as a winger for Bolton Wanderers. Marvin Anthony Sordell is an English professional footballer who plays as a forward for Northampton Town. The 2008–09 season was the 110th season of competitive league football in the history of English football club Wolverhampton Wanderers. They played the season in the second tier of the English football system, the Football League Championship. The season turned out to be a major success as the club finished top of the division and were therefore promoted back to the Premier League after a five-year absence. Watford Football Club is an English football club from Watford, Hertfordshire. They played in the 2013–14 Football League Championship, for the seventh consecutive season since relegation from the Premier League in 2006–07. The manager was Giuseppe Sannino. The 2014–15 season was Bolton Wanderers's third consecutive season in the Football League Championship following their relegation from the Premier League in 2012. 1 2 3 4 Hugman, Barry J., ed. (2010). The PFA Footballers' Who's Who 2010–11. Edinburgh: Mainstream Publishing. p. 346. ISBN 978-1-84596-601-0. ↑ "Rasiak truth revealed". BBC Sport. 8 March 2006. Retrieved 22 January 2007. ↑ "Spurs agree Rasiak deal with Rams". BBC Sport. 1 September 2005. Retrieved 21 January 2007. ↑ "Saints agree £2m deal for Rasiak". BBC Sport. 2 May 2006. Retrieved 22 January 2007. ↑ "Rasiak goes on loan". 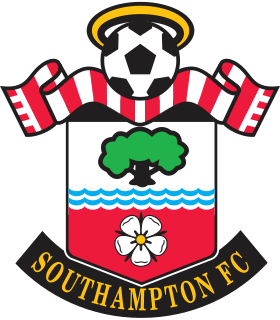 saintsfc.co.uk. 31 January 2008. Retrieved 31 January 2008. ↑ "Megson moves for Rasiak". Sky Sports. 31 January 2008. Retrieved 20 February 2012. ↑ "Rasiak – Not an easy choice". Sky Sports. 3 February 2008. Retrieved 20 February 2012. ↑ "Match Report-Bolton Wanderers 0 – 1 Portsmouth". bwfc.co.uk. 9 February 2008. Archived from the original on 5 December 2010. Retrieved 20 February 2012. ↑ "Match Report-Blackburn Rovers 4 – 1 Bolton". bwfc.co.uk. 24 February 2008. Archived from the original on 5 December 2010. Retrieved 20 February 2012. ↑ "Rasiak out for a month". sportinglife.com. 16 March 2009. Archived from the original on 5 June 2011. Retrieved 16 March 2009. ↑ "Statistics – Football365 News". Football 365. Football 365. 27 March 2009. Archived from the original on 9 February 2009. Retrieved 27 March 2009. ↑ "Grzegorz Rasiak's transfer to Watford stalls". ThisIsLondon. 12 May 2009. Archived from the original on 5 May 2013. Retrieved 15 May 2009. ↑ "Royals sign McAnuff and Rasiak". Reading F.C. 27 August 2009. Archived from the original on 29 August 2009. Retrieved 27 August 2009. ↑ "Reading 1 – 1 Watford". BBC. 26 September 2009. Retrieved 26 October 2009. ↑ "Rasiak leaves on free transfer". Reading FC. 20 August 2010. Archived from the original on 22 August 2010. Retrieved 20 August 2010. ↑ "Rasiak leaves for Limassol". Sky Sports. 20 August 2010. Retrieved 20 February 2012. ↑ "Rasiak could get addicks chance". Sky Sports News. 2 August 2011. Retrieved 2 August 2011. ↑ "Rasiak in hunt for Addicks deal". Sky Sports. 3 August 2011. Retrieved 20 February 2012. ↑ "Addicks XI defeated at Robins". CAFC.co.uk. 3 August 2011. Archived from the original on 6 March 2012. Retrieved 20 February 2012. ↑ "No Charlton deal for Rasiak". Sky Sports. 11 August 2011. Retrieved 20 February 2012. ↑ "Grzegorz Rasiak oficjalnie piłkarzem Jagiellonii Białystok". sport.banzaj.pl (in Polish). 27 September 2011. Retrieved 20 February 2012. ↑ "Jagiellonia Białystok. Grzegorz Rasiak może już grać" (in Polish). gwizdek24.se. 29 November 2011. Retrieved 20 February 2012. ↑ "Lechia – Jagiellonia: Rasiak przesądził o zwycięstwie" (in Polish). Onet Sport. 11 December 2011. Archived from the original on 7 January 2012. Retrieved 5 June 2012. ↑ "Ekstraklasa. Rasiak dał Jagiellonii zwycięstwo nad Lechią" (in Polish). Sport.pl. 11 December 2011. Archived from the original on 10 September 2012. Retrieved 5 June 2012. Wikimedia Commons has media related to Grzegorz Rasiak .